When: 8 p.m.; Sixers Pregame Live starts at 7 p.m.
As I mentioned in our Game 1 storylines, the Brooklyn Nets were going to look to take advantage of JJ Redick defensively, and that they did, but it was far from just Redick. When the Nets' second unit of Spencer Dinwiddie and Caris LeVert checked into the game, the Sixers couldn't match up, whether that was Dinwiddie blowing by Mike Scott because he pressed him too far out, LeVert beating Jonathon Simmons backdoor or a variety of other missed man-to-man coverages. The Nets' gameplan wasn't a secret. As D'Angelo Russell said after the victory, "In the second unit there are a lot of matchups that we like to exploit… Kenny (Atkinson) is a genius when it comes to that." Some mismatches you are forced to live with, but the Sixers will have to figure out some of their glaring defensive deficiencies in Game 2. Ben Simmons, Tobias Harris and Redick combined for four points in the first half (and 18 overall). It's a combination of the Sixers needing to do a better job of creating opportunities for Harris and Redick, as it is them knocking down shots. Atkinson said a big part of their game plan was shitting down Harris and Redick, and the Nets simply took away where Redick has been most effective (coming off screens on the perimeter), which means the Sixers will have to find different ways to get him (and Harris) open. The biggest advantage that the Sixers have over the Nets is Joel Embiid inside. 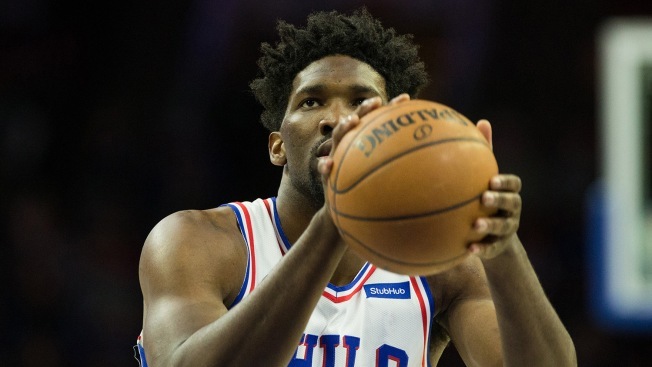 Embiid admitted after Game 1 that he felt out of shape and Brett Brown said that was a big reason for why Embiid was running perimeter to perimeter, rather than rim-to-rim. Still, Embiid was able to get to the line 18 times and finish with 22 points and 15 rebounds in just 24 minutes of play (and limit Jarrett Allen to under 10 minutes after getting him in early foul trouble). I'd still like to see Embiid play more bully ball in Game 2, but that type of play might be dependent on how Embiid's knee feels.